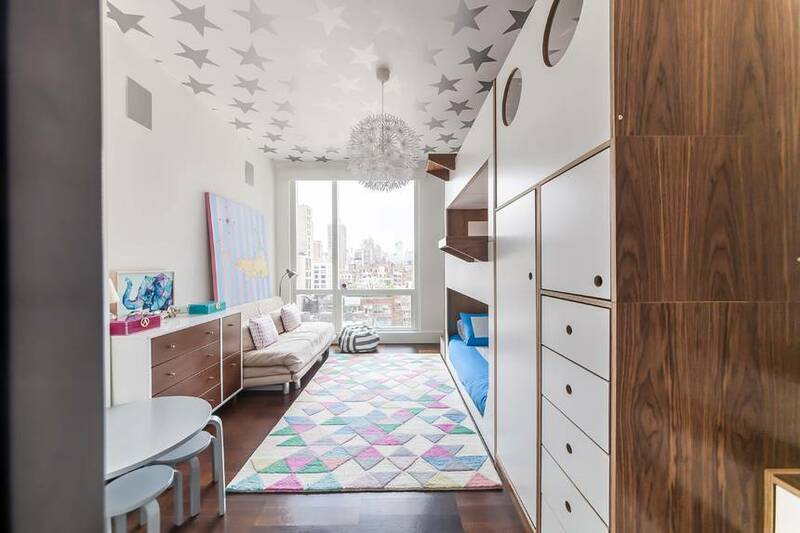 When it comes to kids, space is a thought that generally comes to mind. 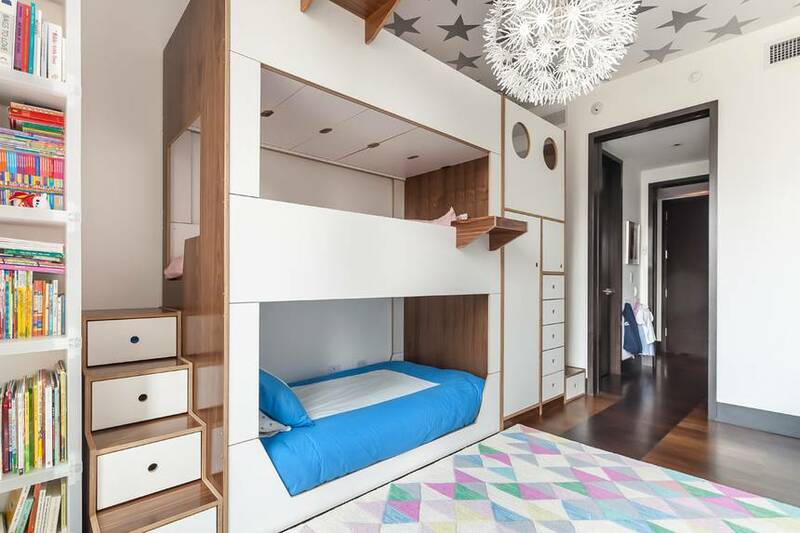 How much space, and especially the lack of space may be challenging as a family starts to grow. 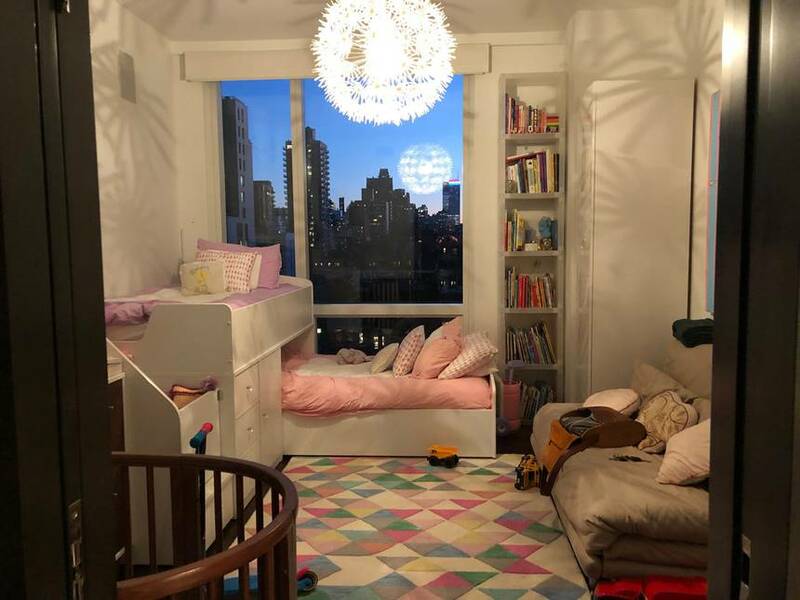 In big cities, it’s common for kids to share a bedroom but with multiple beds, a small space can start to feel suffocating. 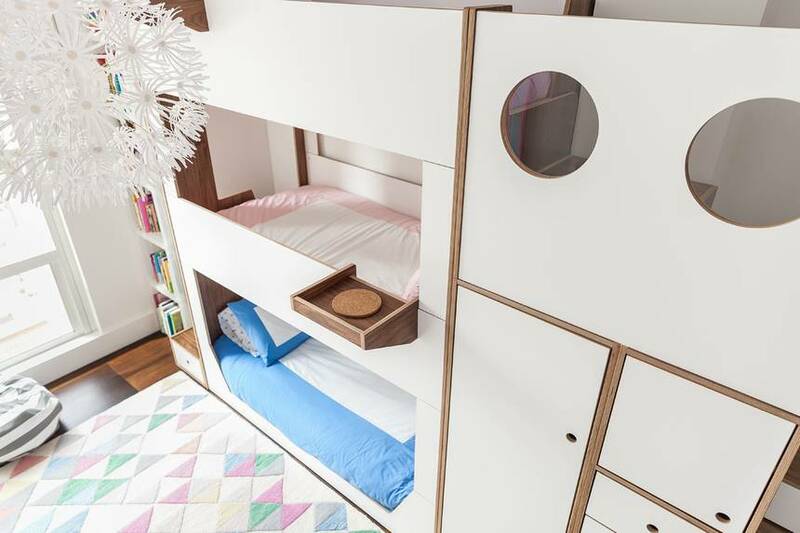 Back in 2016 we covered modern loft beds designed by Brooklyn based firm Casa Kids, and now we present their newest creation, a triple bunk that’s beautiful as well as functional. 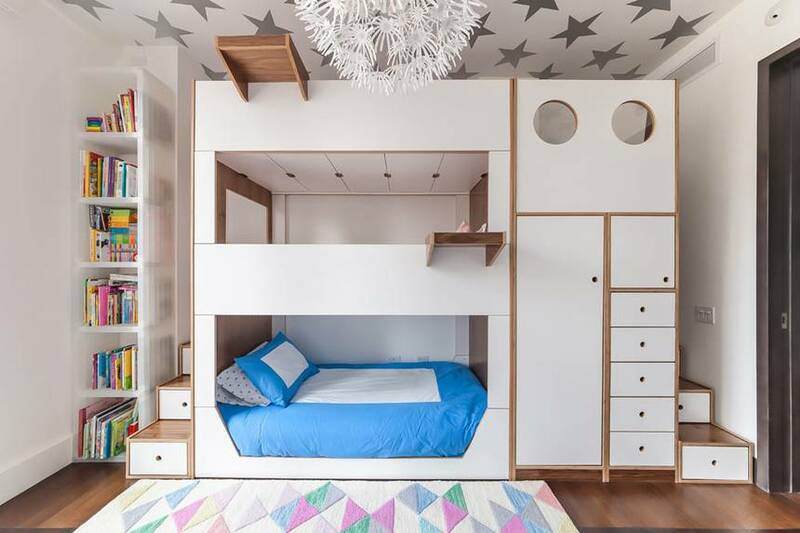 The clean, yet playful design is inviting for children as well as adults! The white construction with walnut accents create a sense of minimalism and warmth. Double stairways are located on both sides of the bed allowing access to the middle and top level. 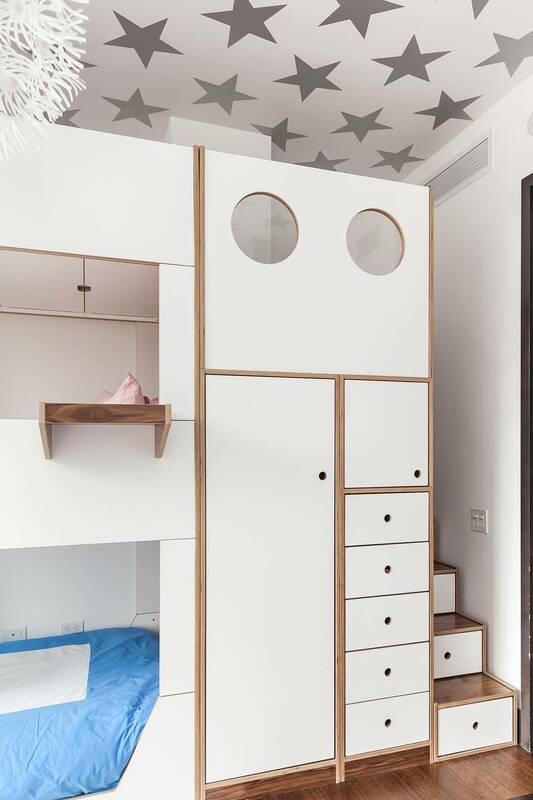 Within each step is a pullout drawer plus two large cabinets and five drawers located at the main face of the bunks. Hanging tray tables are accessible for the upper levels to hold frequently needed items. 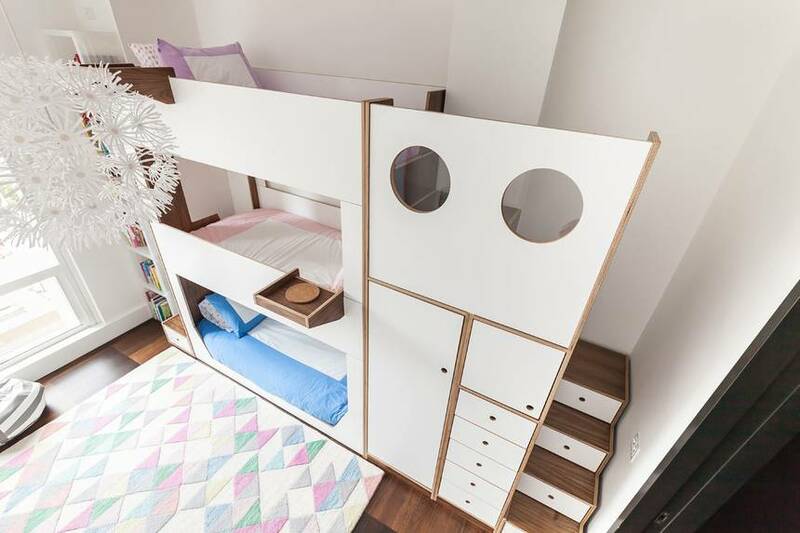 The bunk can be taken apart and reassembled for easy portability. 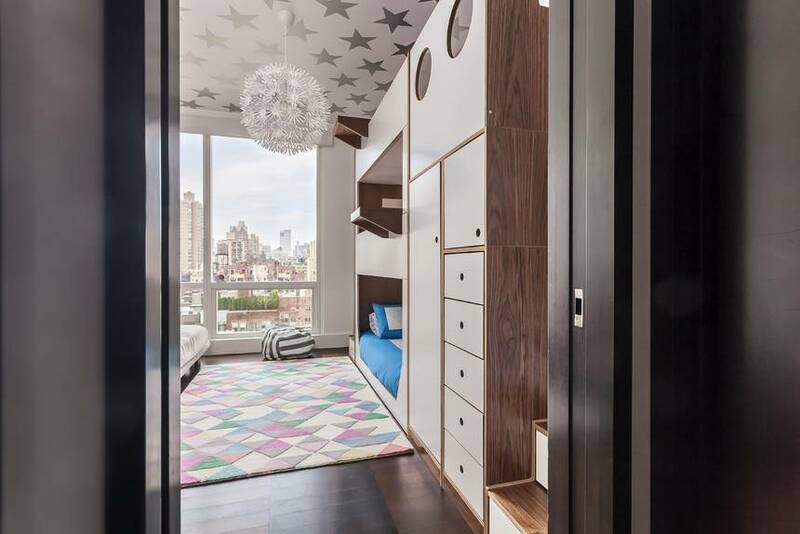 The small room, which was once cluttered with beds, now feels a lot bigger and spacious. 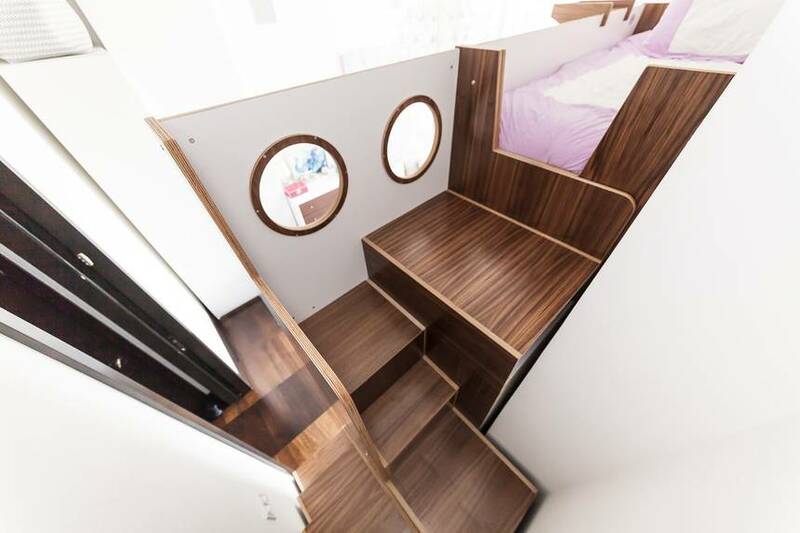 There’s even enough space for an extra futon sofa bed for guests. 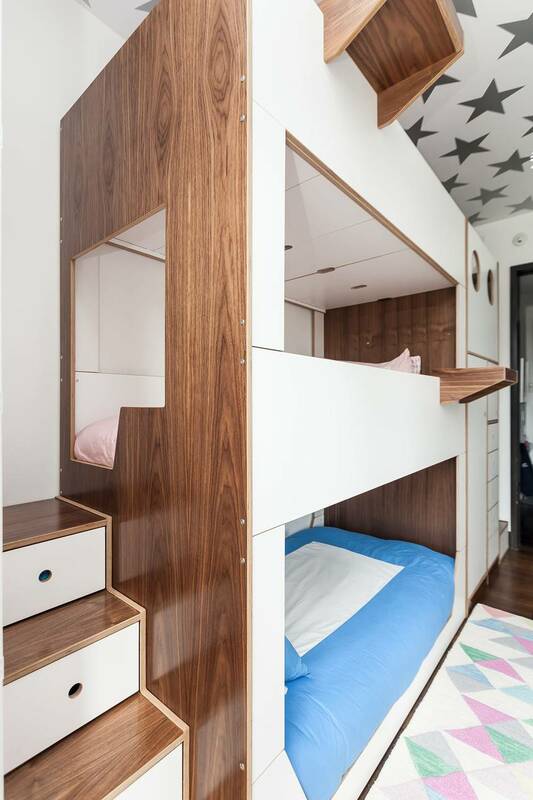 Click the pictures below for a full tour of the triple bunk.